Indie Retro News: Sid Meier's Pirates! - One of the best games I've ever played, Yarrr! Sid Meier's Pirates! - One of the best games I've ever played, Yarrr! 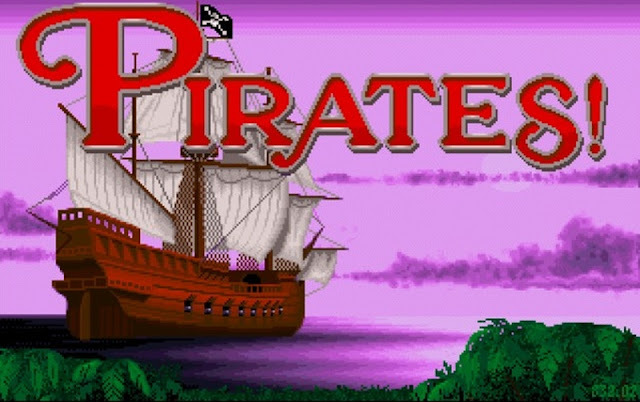 It is incredible to think that the original Sid Meier's retro gaming hit of 'Pirates! ', from way back in the late 80's can still be played today and enjoyed by people of all ages. It had you sailing your very own ship such as a fast sloop, capturing other ships, looking for treasure, sword fighting on deck, and marrying a rather pretty lady! In fact it was a highly addictive game that appeared on the Amiga, Amiga CD32, Apple II/IIGS, Atari ST, Commodore 64, Amstrad CPC and many others. So if you want to play this game right now without setting any emulators up, here's the Amiga version ready to be launched on a home PC! Of all the games to play that takes you back to not only a golden age of gaming, but a golden age of sailing, Sid Meier's Pirates is the game for you. It will have you hooked as you sail across the Caribbean in search of fame and fortune, from the smallest of ships and towns to mighty treasure fleets! The Amiga version was definitely the best and provided for its time the best simulation possible.